When I'm not volunteering at Beyond Awesome I...: Am helping people to become the best versions of themselves, at work. I’m in HR meaning I look after all things people in my organisation. I am very fortunate to have the opportunity to meet and connect with lots of inspiring leaders around my business to help them achieve their goals through their teams. I’m a strong believer that people truly make the difference in work and I’m here to guide and enable this. Three words I would use to describe myself: Emphasiser, Coach and Believer! One fun-fact that you may not know about me: I’m an avid crossfitter! I wake up at 5:30 every morning to get my exercise in, it helps me to get in the right mindset for the day. How did you find out about our Beyond Awesome program? I was looking for the right volunteer opportunity after trying out a few things in Singapore. I came across Beyond Awesome on the GIVING.SG Platform and I was drawn to the 6 month commitment. It highlighted to me that this organisation really pays attention to the quality of the volunteers; and the well being of the children. How often do you serve with our program? I stick to the commitment of 2 times a month, but I will do my best to commit a few more hours wherever I can. I am also on the Advisory Board so I enjoy connecting with Emily every month to talk about the future of Beyond Awesome and what can be done to enhance the programme further; for the kids and volunteers alike. 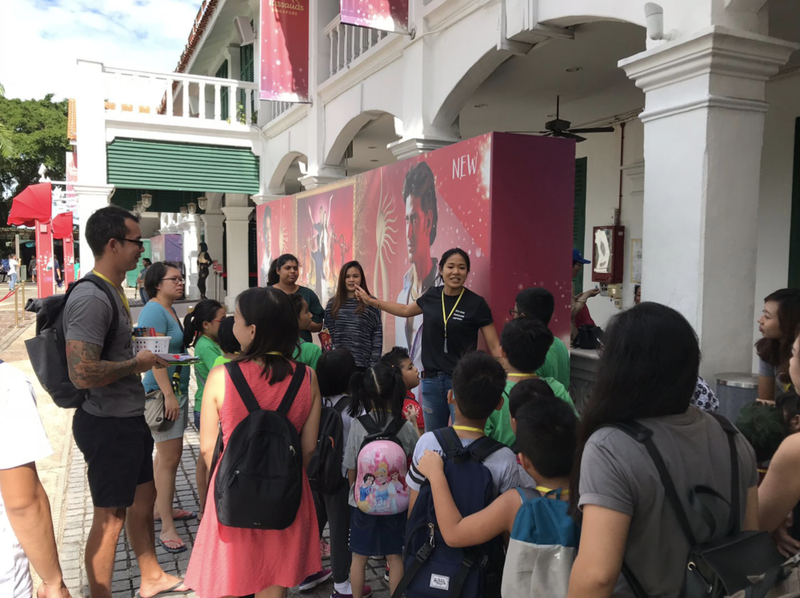 Joelle, leading a group of excited children and youth on a JalanJalan (field trip) to Madame Tussauds, Sentosa, Singapore! What do you love about the program/WCA Community? It’s a community of passionate people who put a lot of time and effort into making the programme as best it can be. Often, we push ourselves outside our comfort zone to do things they wouldn't normally for the sake of the programme and the kids. It's such an incredible experience! How are you adding value to the program? I feel like I add value by showing up and truly engaging with the kids at the sessions - they can learn a lot in a short space of time and you would be surprised the impact this can make. I also have the rare opportunity to be on the advisory board, so I can contribute my ideas on how the organisation can continuously improve itself. What have your experiences been like with the program? I've had a fantastic experience so far, it is a wonderful community of people who are working towards the same goals. What is the most rewarding aspect of being involved with our Beyond Awesome program? Seeing the kids engaged and learning new things. It’s an incredible feeling knowing that you are helping them to reach their potential. They are growing month by month and it’s rewarding being part of this progression. Can you share your favourite session or moment that has stayed with you from being with our program? When we did an art walk around Tiong Bahru. One of the kids, who was only 5, was so inspired by the art work on the wall that he requested to go back to draw it. He did and told us that he was going to take it back for his mum. Think back on all your time journeying with the students…can you think of one specific interaction you’ve had with a child that has just stayed with you? 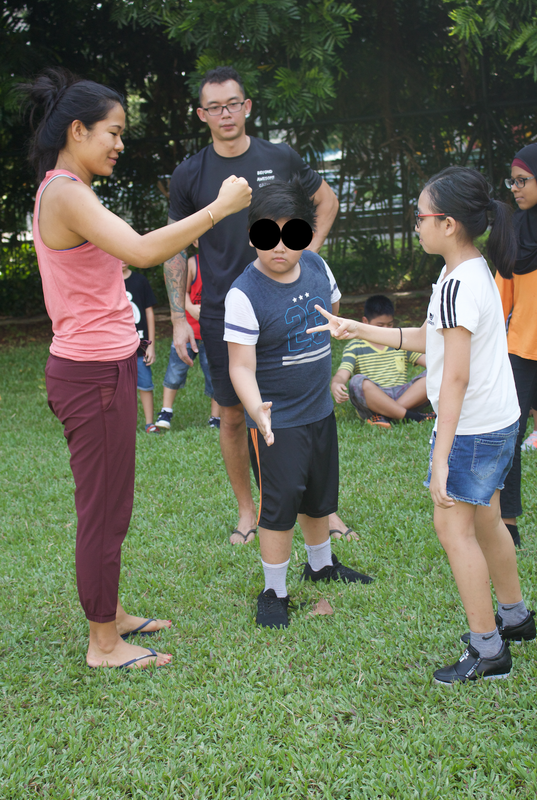 When I managed to teach one of the kids to tie a knot. Although it was a small action, it was an awesome experience to go through the learning journey and celebrate the success at the end of it. What tips do you have for new WorldChangeAgents jumping onboard? Keep an open mind, and stay resilient - remembering that your presence at each session is so valued by the children and the volunteers that it makes it all worthwhile! What would you say to someone who is considering volunteering with the program? Join us! Volunteering is such an enriching experience, you will learn new things about yourself, grow as an individual and impact others positively along the way. What do you love most about being able to give back to communities in Singapore? Singapore is Home to me, I believe that it has so much opportunity and growth ahead as an economy. I feel by contributing to Beyond Awesome - supporting and empowering the kids, this is a way for us to develop the future leaders of Singapore.